Daytona Prototype (DP): This class was introduced to replace the two existing Sports Racing Prototype groups. To control costs, the cars used a tube frame chassis rather than the expensive composites used to construct most prototype race cars. Also, expenses were contained by limiting modifications and implementing rules that would be in place for five years. Approved to produce the first generation of Daytona Prototypes - for a cost of approximately $400,000 were: Riley Technologies, Doran Designs, Crawford Race Cars, Fabcar Engineering, Chase Competition Engineering, Picchio and Multimatic. Costs were also controlled by restricting the engines to production based motors supplied by Pontiac, Lexus, BMW, Porsche, Ford and Infiniti. Engine displacement was used to determine the weight of a car and whether a five or six-speed transmission could be utilized. Sportsracing Prototype II (SRP II): These are purpose built open cockpit race cars from manufacturers such as Lola, Kudzu, Pilbeam and Piccio. The engines used in SRP II cannot be turbocharged and are limited to a displacement of three-litres. The maximum weight for cars in the class it 1,750-pounds. Grand Touring Super (GTS): In 2003, the class was expanded to include cars that formally competed in American GT. As a result, there were two sets of rules to accommodate Unibody and Tube-Frame vehicles. Overall the production based Unibody cars were lighter than their Tube-Frame counterparts. Normally aspirated and turbocharged engines were permitted for the Unibody vehicles were as the Tubeframe cars were limited to an iron or aluminum V8 engine with a maximum displacement of 375-cu.in..
Grand Touring (GT): This category is for production based vehicles such as the BMW M3, Chevrolet Corvette, Ferrari 360GT and Porsche GT3RS. Turbocharging is not allowed and maximum engine displacement is 6.0-liters. As in the past, the season opened in February with the Rolex 24 at Daytona International Speedway and ended at the same track in November. In between these two weekends, there were events at Homestead-Miami, Phoenix International Raceway, Barber Motorsports Park, California Speedway, Watkins Glen, Mid-Ohio Sports Car Course, Mont-Tremblant and Virginia International Raceway. There was a total of twelve events with the series competing at Watkins Glen twice and Daytona three times. Le Circuit Mont-Tremblant was race ten of the twelve rounds contested during the 2003 Grand-Am championship. Mont-Tremblant is a track with a rich history – in addition to featuring the F5000, Can Am and Trans Am series it also hosted the Canadian Grand Prix in 1968 and 1970. This event would be six hours in length around the 15-turn 2.65-mile road course. The car count was lighter than usual as many competitors did not want to make an effort to cross an international border. There was a total of twenty-four starters. 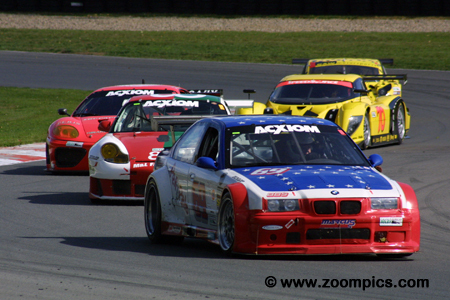 However, the grid included nine Grand Am Cup entries to bolster the car count. The No. 58 Brumos Racing Fabcar FDSC/03 was shared by David Donohue and Mike Borkowski. 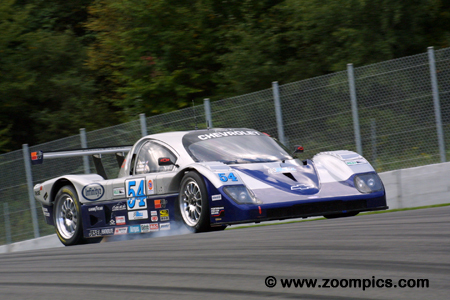 Entering the Mont-Tremblant event, the pair led the Daytona Prototype driver standings by a single point. For the Tremblant event, they were joined by Sascha Massen. Donohue qualified the car and put it on the pole. The team ran a trouble free race and won by a two-lap margin. 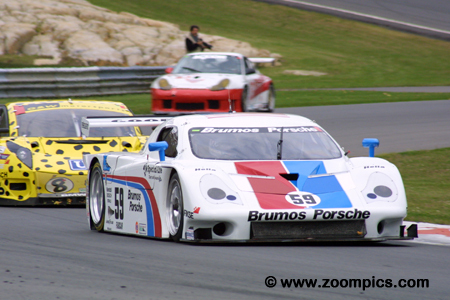 Finishing in the runner-up spot was the second Brumos entry driven by regulars Hurley Haywood and J.C. France – they were joined by Max Papis. The team was sixth quickest in qualifying. During the race, the team lost time when an extra pit-stop was required to remove debris caused by an off-track excursion. Despite this setback, the team was able to finish second - albeit two laps behind the winner. Fastest of the Grand Touring cars was the GTS class Ford Mustang from Heritage Motorsports. The driver line-up included Tommy Riggins and team owner, David Machavern. Added to the team for this race was their GTS rival, Joao Barbosa. Riggins qualified the car fifth overall and in the process, he broke the class record by 4.816-seconds. In the race, the trio encountered transmission problems but were still able to secure the class victory. Leading the points chase in the GT category were Cort Wagner and Brent Martini. 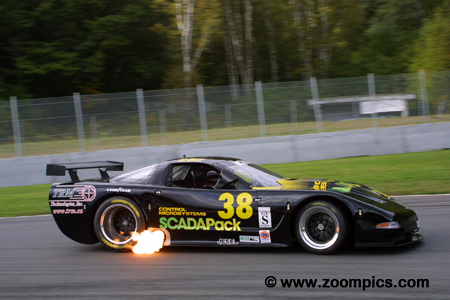 Wagner qualified the Ferrari 360GT eighth overall and first in class. In the race, they battled with the Rennewerks Porsche which had beaten them in the six-hour race at Watkins Glen. This time it was the Ferraris turn and Wagner and Martini finished third overall and captured the class victory. Mark Hupfer, Paul Mortimer and Tim McKenzie drove the No. 84 Acme Motorsports Porsche GT3RS. 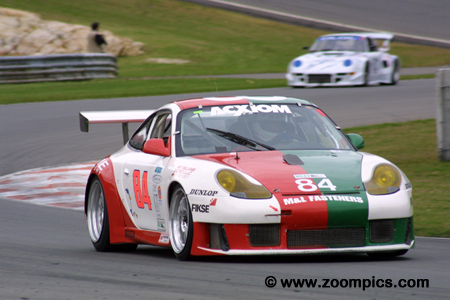 The Porsche started twelfth overall and was fourth quickest among the Grand Touring cars. During the six-hour race, the team would complete 189 laps. 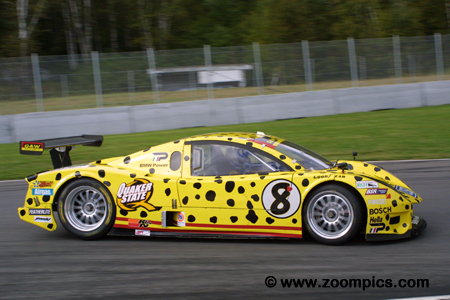 At the checkered flag, they were third in the GT category and seventh overall. Expected to be a threat to the GTS class Heritage Motorsports Ford Mustang was the Chevrolet Corvette owned by local racer Jim Holtom. 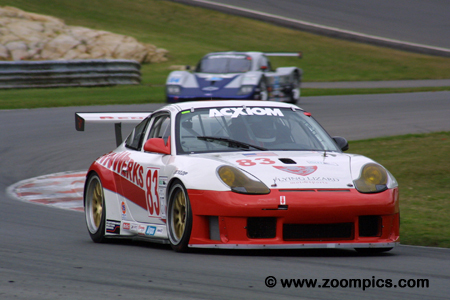 Holtom had a lot of success with the Corvette in the Canada GT Challenge Cup. The driver line-up also included Ted Martin and veteran, Stu Hayner. The GTS group turned into a race of attrition. The car led when the Ford encountered problems but an overheating issue took the Corvette out of contention. Qualifying immediately behind the GT class point leaders was the No. 83 Rennwerks Motorsports Porsche GT3RS. Driving the Porsche were Seth Neiman, Lonnie Pechnik and the experienced, Johannes van Overbeek. The event looked like a repeat of the race in June at Watkins Glen. 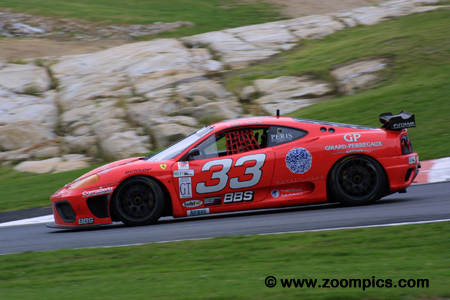 This time the Ferrari had the ‘upper hand’ at the finish and the Rennewerks entry was second in class. Just one-pointed behind the Brumos duo of Donohue and Borkowski was Terry Borcheller. 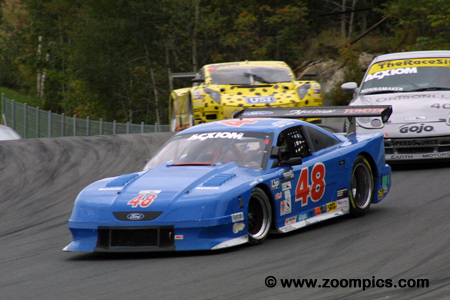 At Mont-Tremblant, Borcheller shared the car with Andy Pilgrim and Forest Barber. The Doran JE4 entered by Bell Motorsports started from the fourth position on the grid. The team gave chase to the race leading Brumos Fabcar but a pit-stop for fourteen laps to repair the transmission took them out of contention. 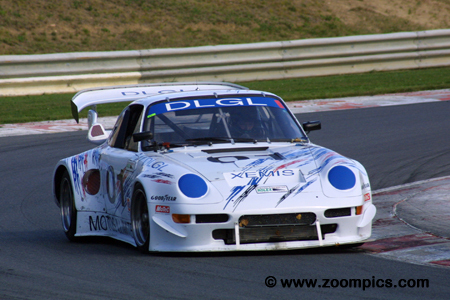 Bill Auberlen joined series regulars Didier Theys and Fredy Lienhard in the No. 27 Toyota-powered Doran JE4. Auberlen was a great addition to the team as he qualified the Doran on the outside of the front row. Early in the event, the team battled with the eventual race winners and led for a couple of laps. Unfortunately, problems with the shifter forced the team to retire the car on lap 130. At the end of qualifying, the No. 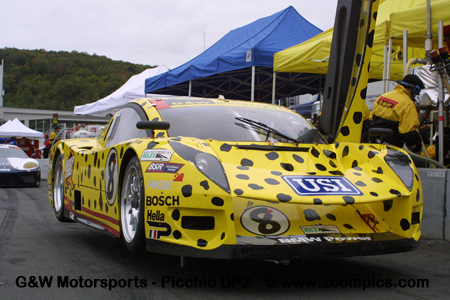 8 BMW-powered Picchio DP2 was third overall and in the Daytona Prototype class. 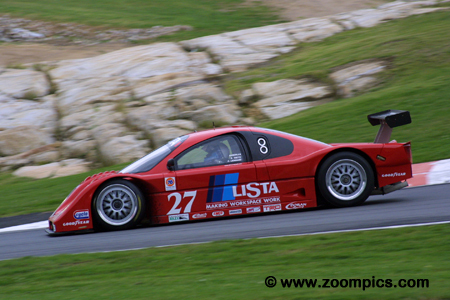 The car was piloted by three quick drivers – Andy Lally, Darren Law and Guy Cosmo. The Picchio was one six cars that took a turn leading the race but contact with the No. 59 Brumos entry damaged the Picchio’s suspension. The team was able to make repairs and finish fifth overall and third in the Daytona Prototype class. The Marcus Motorsports BMW M3 was the third quickest Grand Touring car. Entering the Mont-Tremblant round, drivers Hugh Plumb and Brian Cunningham trailed the class leaders by just eight points. For this event, they shared the BMW with Porsche driver Cory Friedman. Unfortunately, the car broke a stub axle during the race. This retirement was a blow to Cunningham’s and Plumb's title aspirations. The Quebec entry from Xemis Racing was the third and final car competing in the GTS category. The Porsche 911 Turbo was driven by Jacques Guenette, Hugo Guenette and local hot shoe, Jean-Francois Dumoulin. 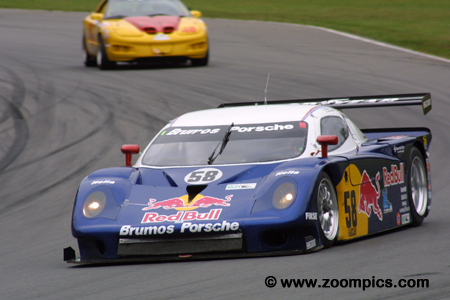 The Porsche started fourteenth overall just ahead of the Grand Am Cup entries. The team retired after just fifteen laps with an engine failure.